Given the option to travel back in time, most people generally would generally commit some combination of lottery fraud, evil dictator slaying, and othewise trying to avoid disrupting the spacetime continuum. For the sake of science, though, two physicists are hoping that, no matter what you do, you at least find some time to tweet—so they can find you. The two physicists in question, Robert Nemiroff and Teresa Wilson from Michigan Technological University, aren't just hoping it's Twitter that our quantum visitors have a propensity, though. 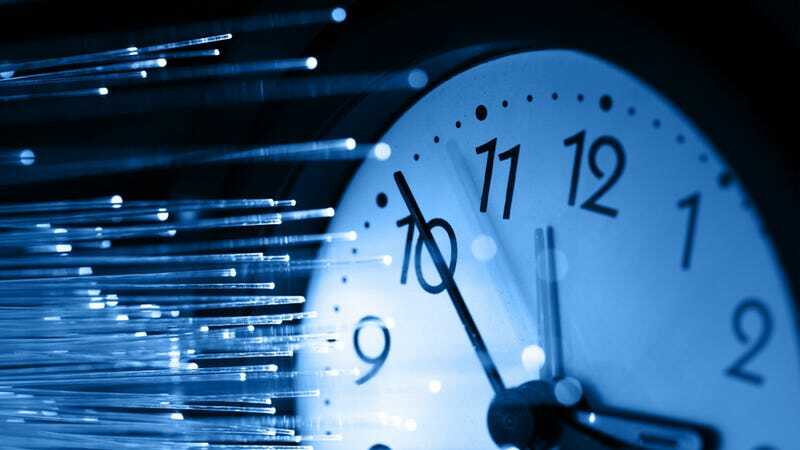 Their new study, "Searching the Internet for evidence of time travelers," saw them scouring the likes of Facebook, Google, Google+, and yes, even Bing in the hopes of finding the digital remains of curious (or just follower hungry) time travelers. A time traveller might have been trying to collect historical information that did not survive into the future, or might have searched for a prescient term because they erroneously thought that a given event had already occurred, or searched to see whether a given event was yet to occur.